Shahid Afridi! You have heard the name a billion times. Chances are, you will hear it more in the years to come. That is, provided historians and critics – who avoid his lair of exhilaration – don’t chuck him out from public memory. A lot of articles & thinkpieces have been written about him over the years. Readers chug them down whenever one turns up in front of them. That has been more than usual recently, as one of the most grandiose names in cricket recently made headlines. The manner in which it stunned the media was quite like the way his career has panned out. This time though, the retirement was final. He had tried it before. Thrice. But cricket would, somehow, pull him back in; even as the continued deterioration between him and his board reminded the world of a stage drama where characters that die are repeatedly brought back to the world; sometimes willingly, sometimes not. Cricket is a team game. You are, obviously, expected to stick together. It doesn’t matter if your unit boasts of immortal beings; talents who are exuberant but act as a one-man-show don’t help the team. 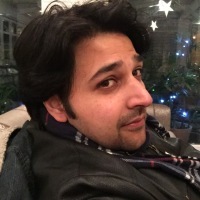 So much has already been said about the man responsible for the Boom-Boom cult that you forget that he enormously helped Pakistan with its aim of garnering fans worldwide. If Wasim, Qadir, Imran, Anwar and Younis Khan are about class- Afridi was exhilaration and flamboyance. Sadly, it never occurred to lamenters that he was more of a loner than being selfish, an accusation often hurled at him when butchering his personality. Afridi was an aloof character. He wasn’t in it for shenanigans. He was in it for the thrill. For the feel of launching gargantuan sixes. For the delight of disturbing the batsmen’s stumps. He was no sage. He was reticent. Never shy, but inwardly outward. You might mistake the fashionable smile for immense satisfaction. The truth, however, is that it was always Afridi versus Pakistan, even as Afridi won games for Pakistan. There was also emotion in his game. And it must be said and acknowledged- passion as well. Often marching alone, he bore the brunt of many Pakistani downfalls even while launching many a mighty cannon in an attack on the opponents. In the process, he reached some stellar heights; records that are so essentially stuck in his orbit and so characteristic of his free spirited conduct in the game that you rather want it to stay that way. 351 ODI Sixes! That’s a huge world record, more than 80 clear of the next person on the list. An ODI batting strike rate of nearly 120! A Pakistan record for having appeared in most ODIs: 398. Striking 476 sixes across all formats. At the same time, no other cricketing all rounder has boasted of such a meager batting average as Afridi, despite playing nearly 400 ODI games. Afridi’s ODI average, shy of 25, is a blight on his batting abilities; against a technique that often mirrored boisterous hitting but couldn’t veil a laughable defense mechanism. Before you knew it, he would be bowled, often castled by mediocre bowling. Perennially hungry to prove himself, often to those who doubted his potential; in the past decade Afridi appeared in as many as 10 cricketing leagues all around the world. Whether it was Australia’s milestone grounds or the sprawling greens of Bangladesh and the staid picturesque elegance of England, Afridi’s sixes continued. Changing jerseys and team names, time and again as PCB limited his appearances. Never before have we seen a cricketer who, till the final dying moments of his international career seemed at loggerheads with his own creed, fighting against the dying of the light to warrant respect toward his craft, something he was often mightily denied. Those towering 8000 ODI runs, nearly 50 fifties and an astonishing reserve of 443 international wickets point in a direction, above the lofty standards of hard- hitting, and distant from the feathery heights of global recognition. Time has come to initiate dialogue between troubled cricketers and their even more troubled boards. 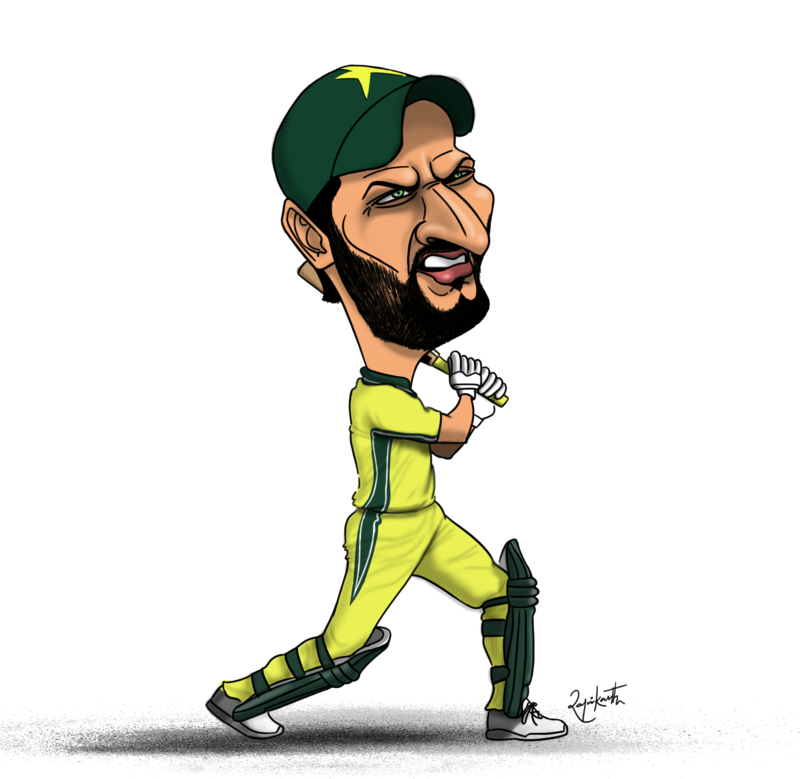 Purely from statistical viewpoint, Afridi has done more to resurrect waning fortunes of Pakistan than his side has ever done in attributing regard for one of its most misunderstood mercenaries. And herein lie Afridi’s troubles. Once a young, peppy, bright smiling 17 year old who smashed Sri Lanka out of the park, into record books for a 37 ball century, he ended his career as a renegade. Cricket cannot afford these casualties. It’s time for damage control & interventions. Fast. Lite. Innovative. Shareable. Download our HW Cricket app! Can Pakistan remain consistent for once? Will the Windies rally against Pakistan? Has Pakistan cricket been revived?